Located in the heart of Brunswick’s Old Town Historic District, this late-Victorian house is a design of George Franklin Barber. 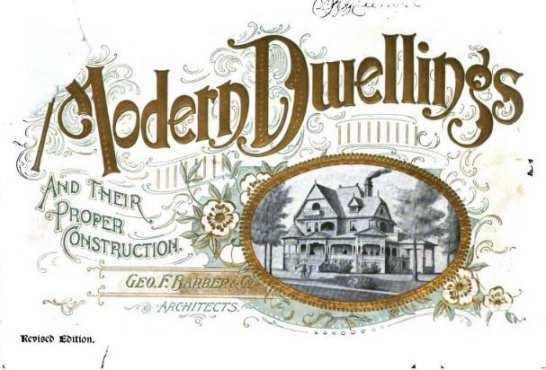 Barber, an architect based in Knoxville, Tennessee, published a prolific number of house designs via mail order catalogues and magazines. This house, circa 1900, is based on Design No. 7 of his Modern Dwellings and Their Proper Construction (Second Edition). The exterior of building retains Barber’s characteristic emphasis on prominent brick chimneys, dormers, and ornamentation. There is a large addition on the rear of the building. 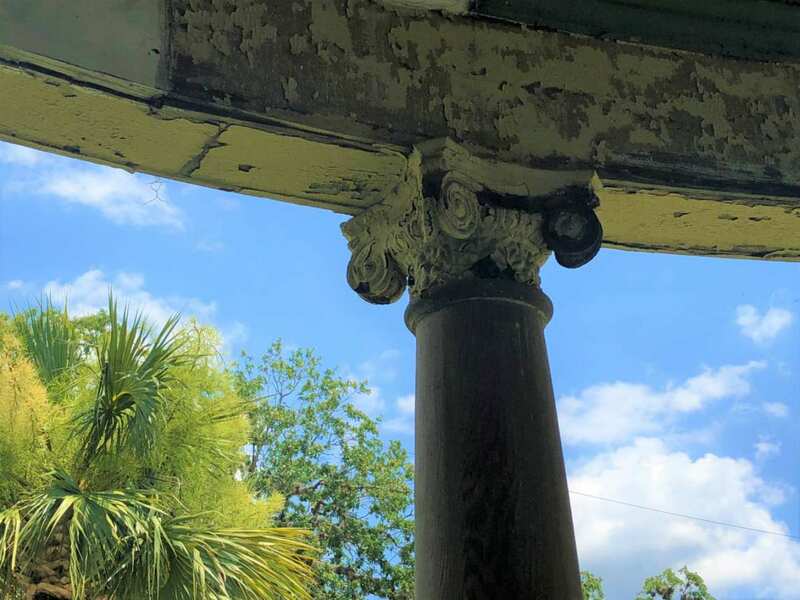 Unfortunately, the house has suffered from years of deferred maintenance and neglect. 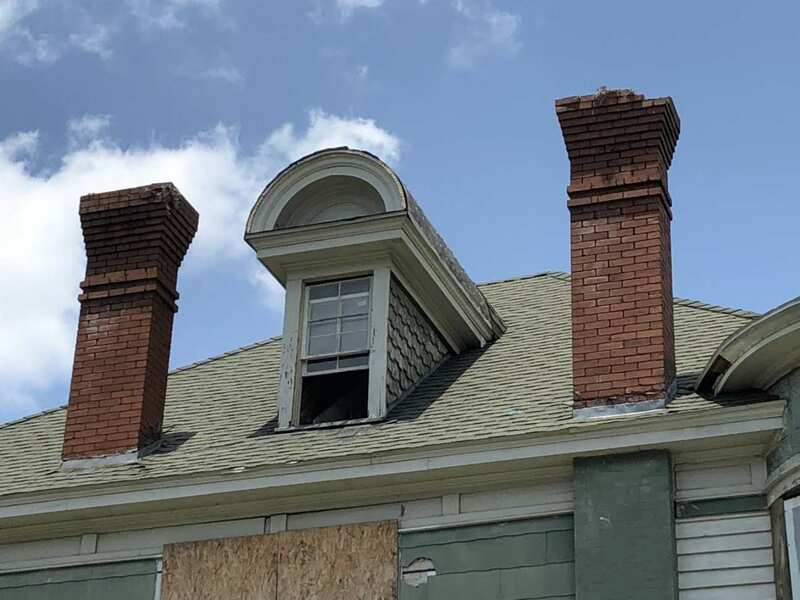 The roof is in fair condition while the exterior siding is in various states of disrepair. 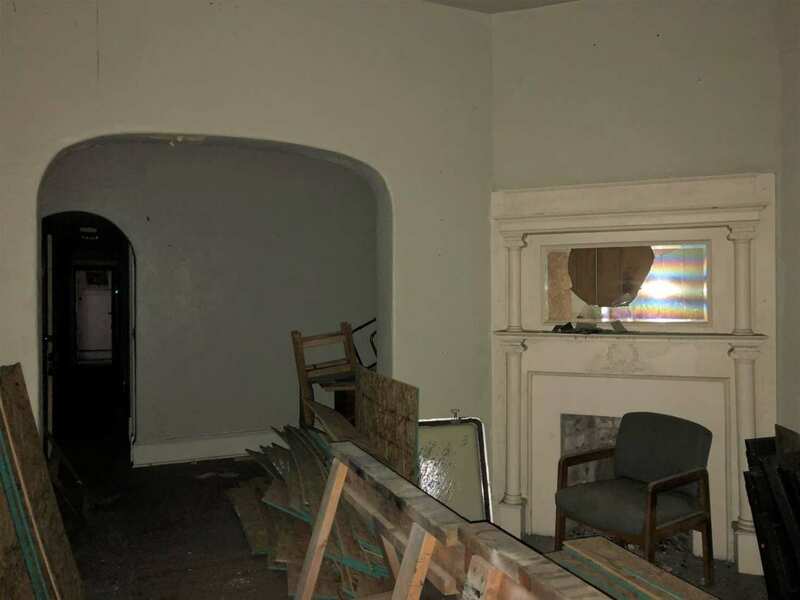 The interior of the building has been significantly altered, with the original floorplans changed on both first and second floors. 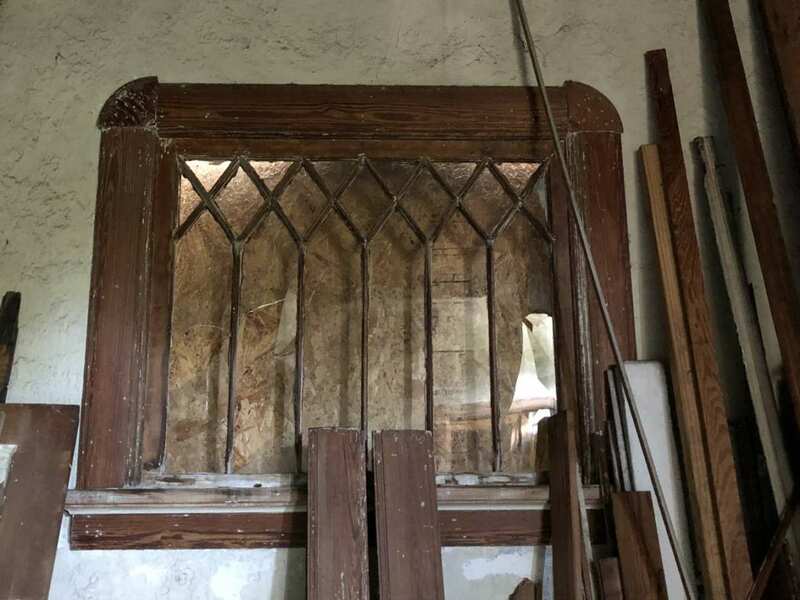 Many of the windows have been broken or removed, however some interior decorative features remain including some of the window trim and mantels. 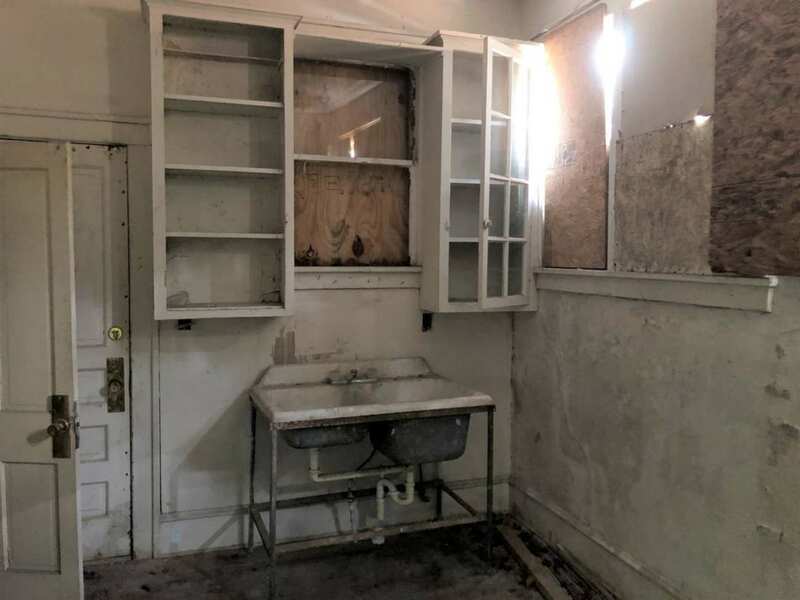 Situated on a full city lot (with street access from front and back) the parcel features .38 acres and includes an existing paved parking lot. 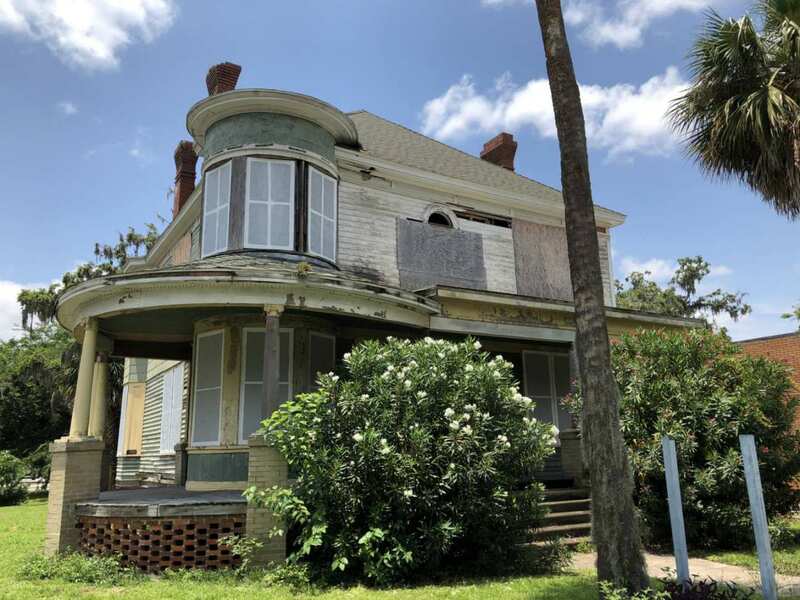 The zoning is flexible to allow for several potential uses of the property including mixed use, office or restaurant space, or potentially a bed and breakfast. 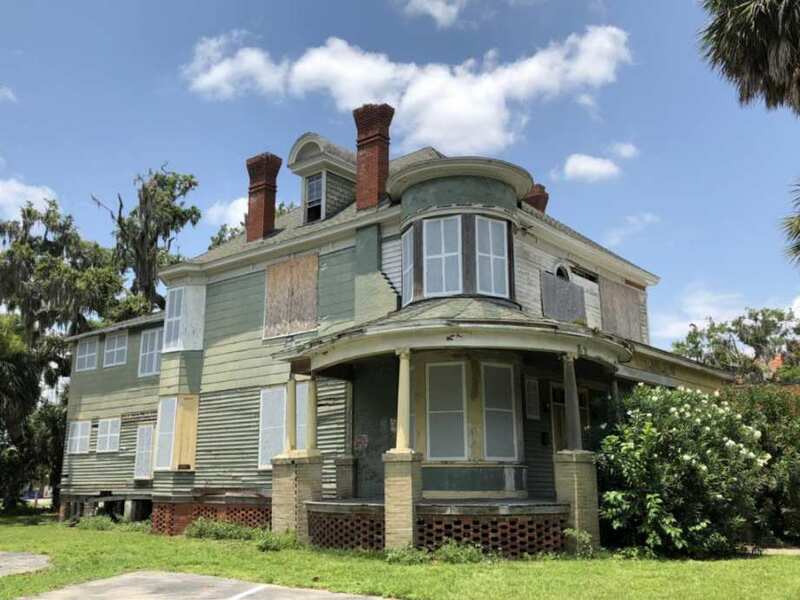 As a contributing property to the National Register historic district, this property may be eligible for Federal and State historic tax incentives for certified rehabilitations. Thanks to Dennis from The Georgia Trust for sharing this home with us. Hope it finds the savior it needs! I grew up down the street from the Delphi example of this house. Seeing another of the same design in such bad shape is…surreal. 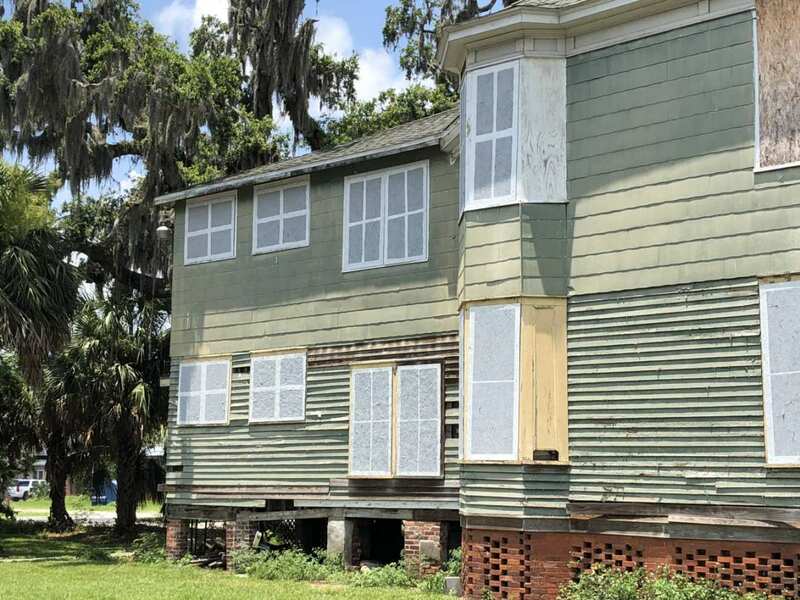 Makes me thankful to have grown up in a place where people took care of and cared about their historic homes. 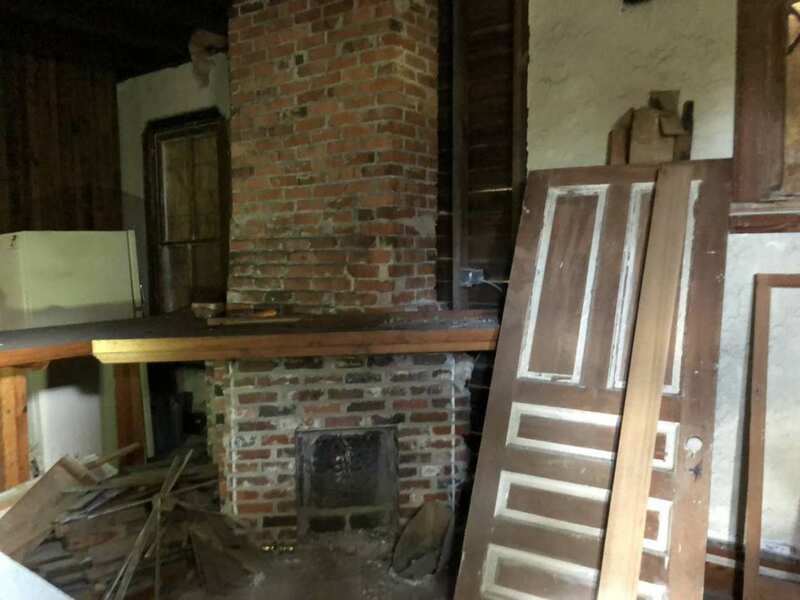 This one is much, much too far gone for me – I like a little more meat on the bone, but knowing what it was, and what it could be again could be enough to hopefully attract a preservation minded buyer. 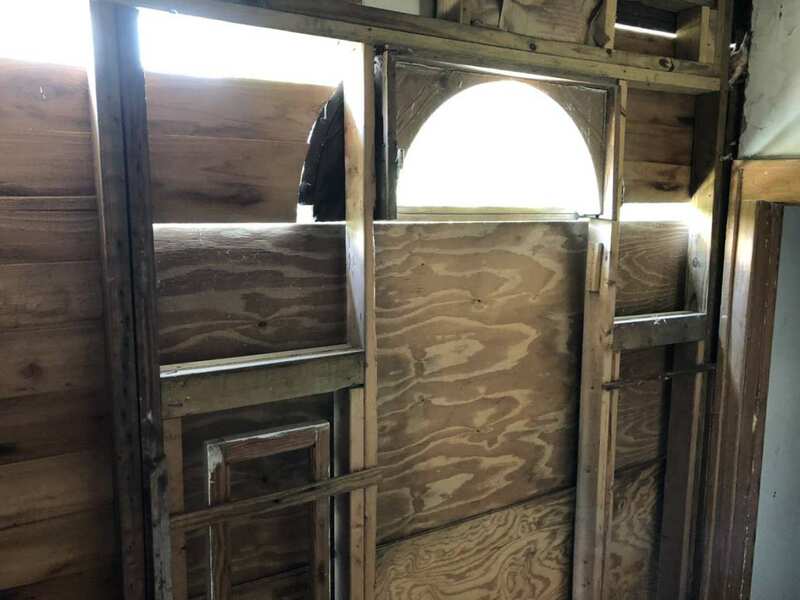 In its nearly-gutted state, I’m not optimistic for the interior, though. 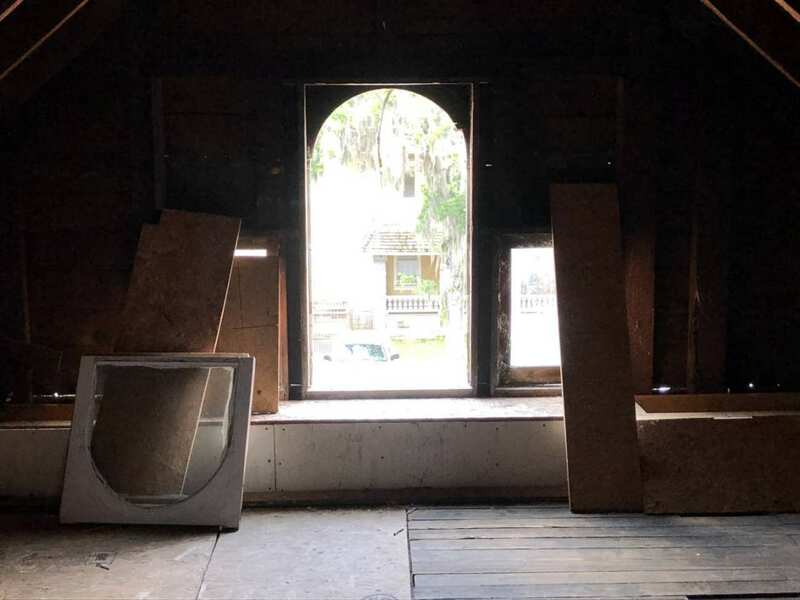 I agree, Cody H. I have saved houses like this before, but you have to do it out of love; as there is usually no money at all in it. On my most recent project i’m upside down more than 200K! If someone doesn’t want to make this their “forever home” I’d probably advise against it unless they’re VERY handy. This example looks to be heavily modified most likely by the original client. It is identifiable as an example of the Design No. 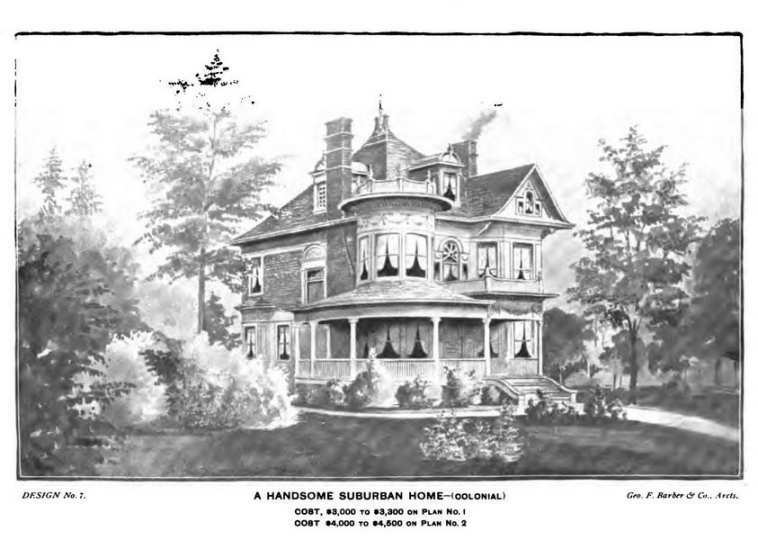 7 from Modern Dwellings Third Edition 1901. My home state of Iowa has two standing examples of this particular design. They are both in Le Mars, IA. 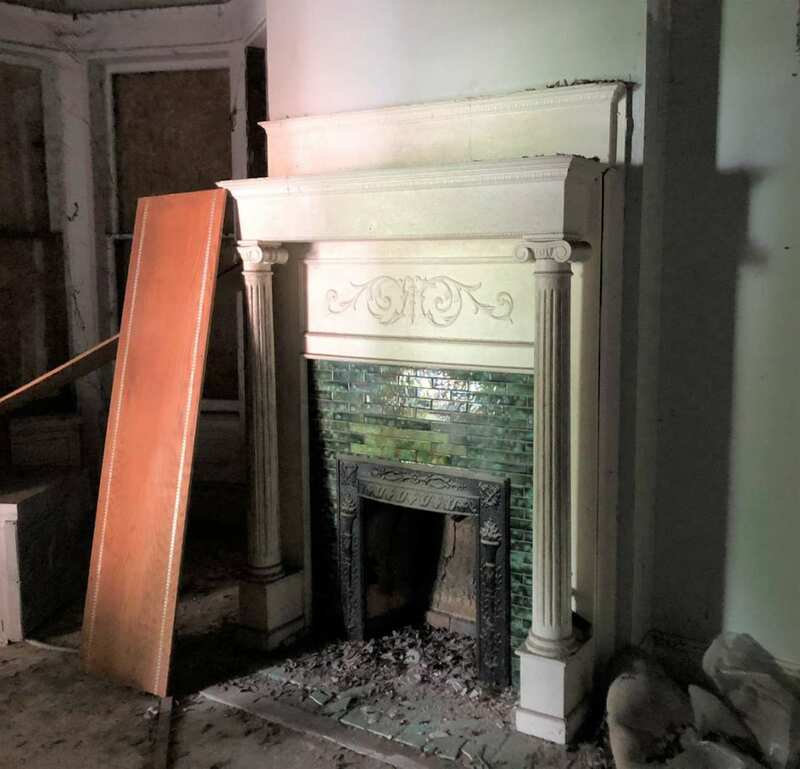 Another example of this design in Grand River, IA was destroyed by fire. I was going to ask you if you had cataloged this one. Are you familiar with the original lay out of inside if someone wanted to restore it? It depends on how the layout is arranged. Some Barber houses have been heavily modified on the inside and outside. It makes it harder to possibly “restore” it back to its original design since it probably won’t match the catalog image. Poor Baby Its so sad to see homes destroyed like this ! We are a throw away society. I pray some one has the Heart mind and Purse to restore this !! One of the best things about this house is how close it is to Jekyll Island. Such beautiful beaches that are usually quite peaceful. 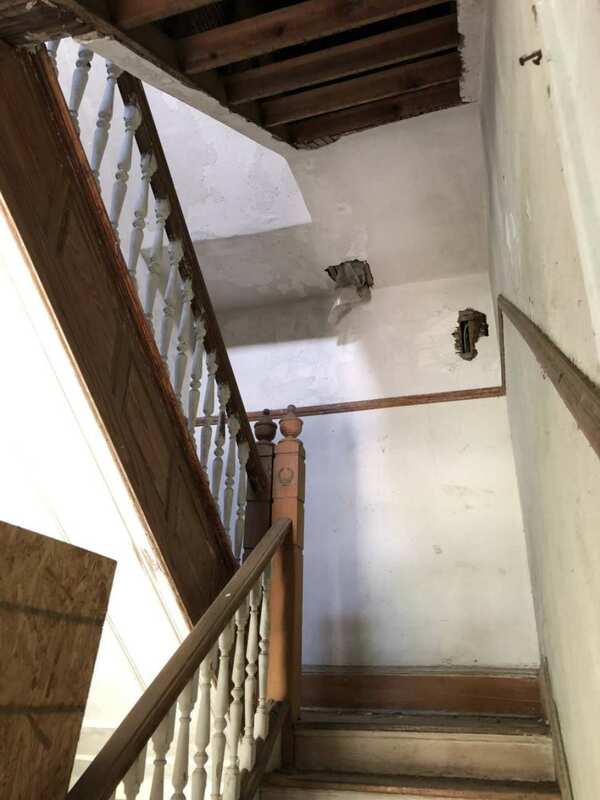 I guess you could totally engineer the house to today’s standards and try to save and replace as much of the detail that makes the house historically and architecturally appealing. Prayer would help too I’m sure. Brunswick is a great location for a lot of people. You’re an hour from Savannah and an hour to the Jacksonville, FL airport. Amelia Island is probably less than an hour, as is the St. Marys ferry to the Cumberland Island National Seashore (a great day trip for those interested in Gilded Age history and beautiful scenery). It’s also right off I-95, a great location for boating activities, and relatively safe from hurricanes due to the shape of the Georgia coastline. My heart hurts for this beautiful home. So hoping someone will rescue her. Can the Georgia Trust save it? 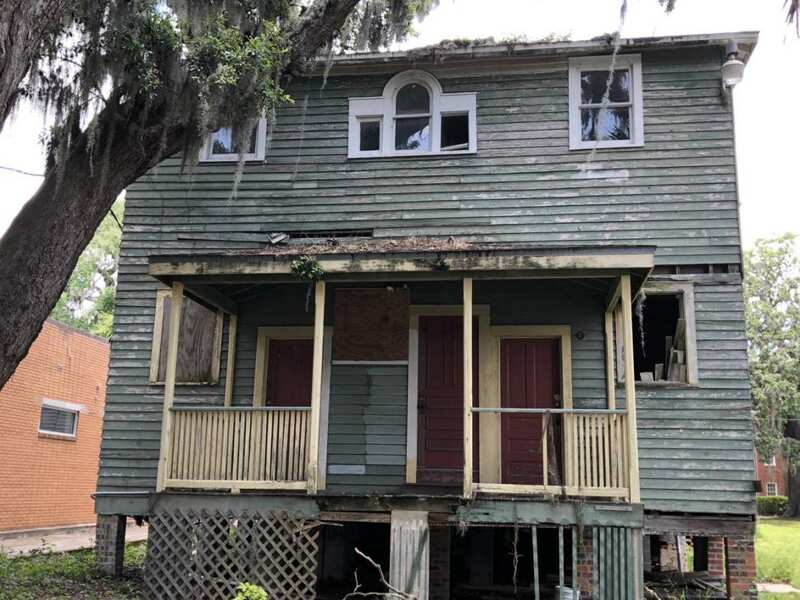 I so hope someone will rescue this home and love it back to life. George F Barber in this shape….